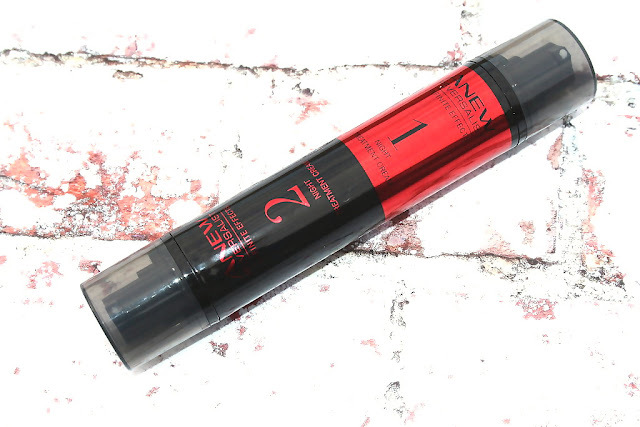 Beautyqueenuk | A UK Beauty and Lifestyle Blog: Avon ANEW Reversalist Infinite Effects Night Treatment Cream | The one with the massive waiting list! Avon ANEW Reversalist Infinite Effects Night Treatment Cream | The one with the massive waiting list! When headlines in newspapers scream that a product you have been trying out for a review has a waiting list of 30,000 people, you do feel quite special. Avon's NEW Reversalist Infinite Effects Night Treatment Cream launched on September 7th and it has seemingly got everyone into a frenzy trying to get hold of it. In fairness, Avon has created a world first with this cream in that it is the world's first rotational anti-ageing night cream and it took more than three years to develop, it has been clinically tested for a whole year being used by over 100 hundred women and when I saw the results from some of these studies I was blown away. 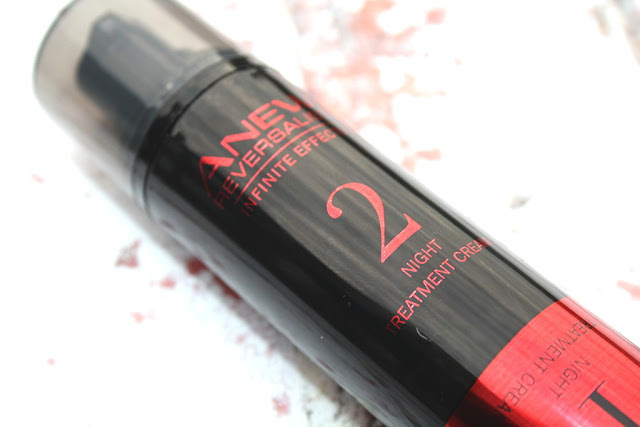 The idea of the NEW Reversalist Infinite Effects Night Treatment Cream came about via Avon's own customers who felt that over time they reach a plateau with their skincare, so taking that comment on-board, Avon wanted to create one which continued to work. Avon's scientists took inspiration for this product from the wellness trend for rotational exercises and eating plans such as HIIT and 5:2 fasting, both of which keep the body guessing to ensure you don't ever hit a plateau. The end result being a two-step night serum which you rotate each week also known as the new Reversalist Infinite Effects Night Treatment Cream. The black and red tube is split into two phases - the prep phase (red end) and the treatment phase (black end). The Prep phase contains hero ingredients such as Phytol, a plant dervived anti-ageing active and high levels of Humectant. Combing the two, they prep the skin, replenish and moisturise the skin. Phase one also prepares your skin to receive the Super Retinol Complex in phase two. So Phase Twp which is the treatment uses a Super Retinol Complex which helps reduce the signs of ageing and boosts collagen. So by binding to your skins surface, the Retinol Complex then has the ability to improve the tone and clarity of the skin as well as reduce fine lines, wrinkles and dark spots. Retinol is an ingredient that we are all now aware of and it is simply a natural form of vitamin A which is found in a lot of over-the-counter skin creams. It works to boost the thickness and elasticity of the skin and is seen as an effective method for decreasing signs of ageing. The cream in phrase one is luxurious and not too thick but a little goes a long way and in phase two the cream takes on a serum like cream and again, you need only a little, two-three pumps max to ensure you have covered your face and neck. To use the treatment, you switch back and forth between phase 1 and 2 every seven days, it is said that by doing this, your skin doesn't become resistant to the cream and your skin will reap the benefits of the Super Retinol Complex. By switching back and forth between the two creams every seven days, your skin will reap the benefits of the anti-ageing super retinol complex. And we all know how great retinol is for the skin right? It’s long been considered the best cosmetic treatment for wrinkles. But with this new cream, you get results that intensify over time. As the switching process ensures your skin doesn’t become resistant to the cream. What I have found since using the cream is that whilst I have minimal lines and wrinkles on my face, I do have lines on my neck and there has been a slight improvement there, but for me the real difference is in how different my skin feels. Even after just a few weeks, my skin is soft and smooth to the touch, it doesn't feel dry or dehydrated and when I use a serum in a morning, it definitely doesn't slurp it up as though I have starved it of moisture for weeks, but instead the serums now absorb at what I would call a normal rate. The Avon ANEW Reversalist Infinite Effects Night Treatment Cream is currently on offer for just £25 here. I haven't bought an Avon product in years. I used to spent so much money on my break at work because there was always a catalogue in the staff room! Ok I definitely need to try and get my hands on this!! I really want this, sounds like a great product. I love Avon products and if this is hyped so much and you love it, I think I will definitely have to give it a go! I so want to try this. Anything with a long waiting list has got to be good, right?! Everyone is going crazy fo this product!!!! I can't wait wait to get my hands on it!!! Wow that is amazing that you were able to get your hands on a cream that had a waiting list of over 30,000 people! It's great that the creams rotate! I have seen this everywhere and I really need to track down my own bottle - it sounds so interesting! Okay you've sold it to me. I really want to try this. Must contact my Avon lady. Ooooo that sounds so so good! Such an interesting concept and it sounds like they have got it sussed! this is so interesting, cant say im not intrigued!! This sounds really interesting! I definitely need to look at Avon again as I haven't looked at their products in years!